These are all American Peerless model 850C hinged handcuffs in red colour or color if you're from the US :). 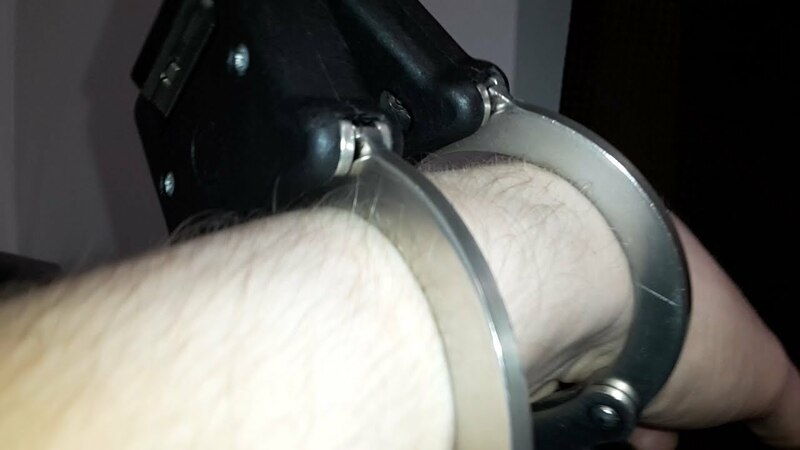 Typically coloured handcuffs such as these are less used by police, although do get used from time to time, but usually a prison or court will colour code the clothing issued to prisoners with the handcuffs and everything else (shoes etc), so if someone dressed in all red tries to leave the building, for example, then everyone knows to apprehend them immediately. These are really high quality handcuffs, I have to say. The tolerances are really low and everything fits just perfectly. The hinge connector design provides a slightly higher degree of movement rather than a more constricted design. Although they are a similar wrist size capacity as TCH/HIATT Superior size, such that the UK Police use.